You are currently browsing the tag archive for the ‘Dining Room’ tag. Where Can I Find Bar Stools? “Barstools…where can I find barstools?” I’ve been asked that question many times over the past few years and now I have the answer….The Furniture Connector! 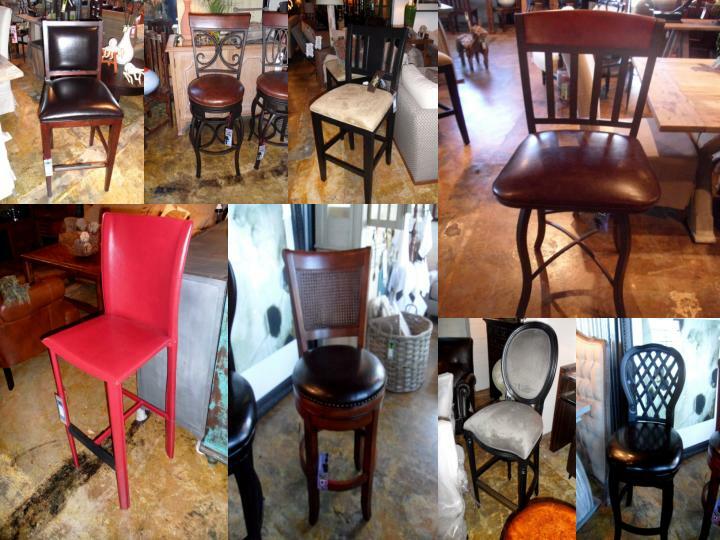 We are pleased to announce that we currently carry a line of barstools that not only look great, but like all of our furniture, they are affordable, too! These pictures are just a sample of what we currently have on the floor and there are hundreds to choose from in the catalog! Come to The Furniture Connector located in SouthEnd and see what deals await you. We buy market samples and discontinued items and sell it to you for a fraction of the suggested retail price. To see more of what we have to offer, check us out on our website at www.thefurnitureconnector.com or call us at (704) 523-3163 . Be sure to look at our new arrivals in the “Off the Truck” section! Browse Addo Novo’s selection of Norman Cherner furniture at addonovo.com. Although best known for his furniture design, Norman Cherner’s work included almost all aspects of design. He studied and taught at the Columbia University Fine Arts Department and was an instructor at the Museum of Modern Art in New York. At the same time he also began his own practice, embarking on a lifetime exploration of architecture and furniture design.